As a Junior Servant (JS) 1 you are in the first level of the program. You will serve in a two week volunteer role at camp focused on service, leadership development, spiritual growth, and fun. For a majority of your day you will work closely with the Program Assistants, Maintenance Staff, Kitchen Staff, and other JS’s to serve camp in many areas such as kitchen work, cleaning bathrooms, and service projects. Each day you will also have the opportunity to spend time with your cabin in the afternoon and as well as staying directly in your assigned cabin, developing relationships and learning directly from your Cabin Counselor. Spend time enjoying Camp with your cabin. Have Bible Studies with other JS’s. As a Junior Servant (JS) 2 you have completed JS level 1 and have a base knowledge for how the program runs, and will be able to use these skills to help guide JS 1’s in service tasks. You will serve in a two week volunteer role focused on service, leadership development, spiritual growth, and fun. During the day you will work closely with the Program Assistants, Maintenance Staff, Kitchen Staff, and other JS’s to serve camp in many areas such as kitchen work, cleaning bathrooms, and service projects. Each day you also spend time with your cabin for morning and afternoon sessions as well as staying directly in your assigned cabin, developing relationships and learning directly from your Cabin Counselor. Take initiative to challenge and grow themselves in the areas of service, leadership development, and spiritual growth. Lead some games for your cabin. Have Bible Studies with the other Junior Servants. As a Junior Servant (JS) 3 you have completed levels 1&2 and are confident in your roles and expectations as a JS. You will serve in a two week volunteer role focused on service, leadership development, spiritual growth, and fun. Unlike the previous levels you will start making the switch from less service and more time with your individual cabin group. During times of service you will work closely with the Program Assistants, Kitchen Staff, and other JS’s to serve,working before and after meals in the kitchen. A larger portion of your day will be spent working directly with your Cabin Counselor, shadowing and learning from them, while developing relationships with your campers. During level 3 you will also take more initiative to lead activities (with Cabin Counselor approval) for your cabin such as Bible study, Cabin Devotions, and Games. Take initiative with opportunities that are given to them within their Cabin groups. Challenge and grow themselves in the areas of service, leadership development and spiritual growth. Participate in the Bible Studies with your cabin. 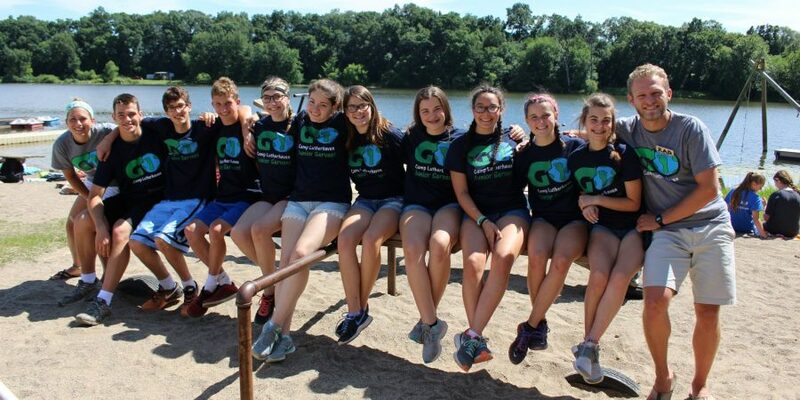 As a Junior Servant: Leader in Training, you will spend each week working under the supervision and in partnership with a member of the Camp Lutherhaven Summer Staff. Working alongside a counselor you will work with a cabin group throughout an awesome week of Camp. Throughout the week you will lead Bible Studies, games, and activities. Lead meal songs and participate in all camp activities. Working alongside a member of the Support Staff you will assist in the support positions of staff while learning the best practices in these essential positions. Will have completed 12th grade by June. Have served at least 2 years as a Junior Servant. Are a witness to Christ in their life.